The Invisible Man Comedy Act has to be seen to be believed! 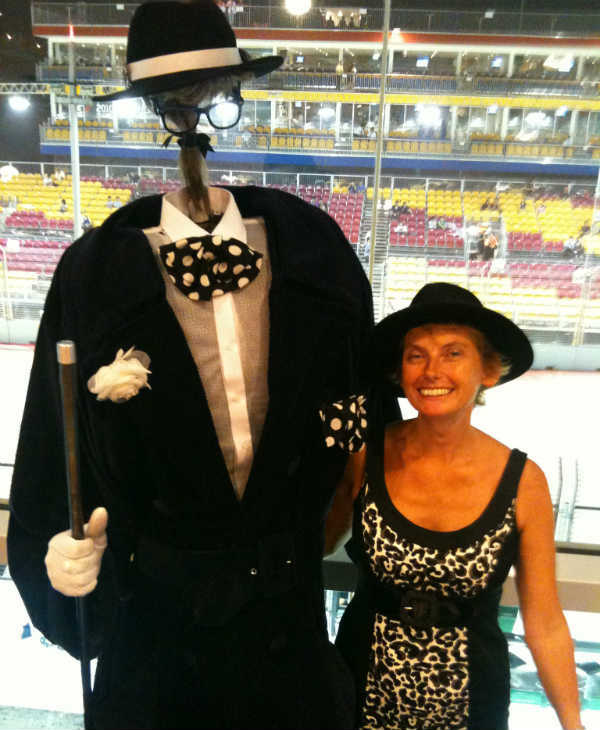 The Invisible Man walkabout show was created in the summer 2007 and shown at Thames Valley Festival in September. Street performing on South Bank, Covent Garden, Oxford and Stratford, as well as private functions has meant this act is supremely polished. The Invisible Man (T.I.M.) is a unique and visually awe-inspiring act. 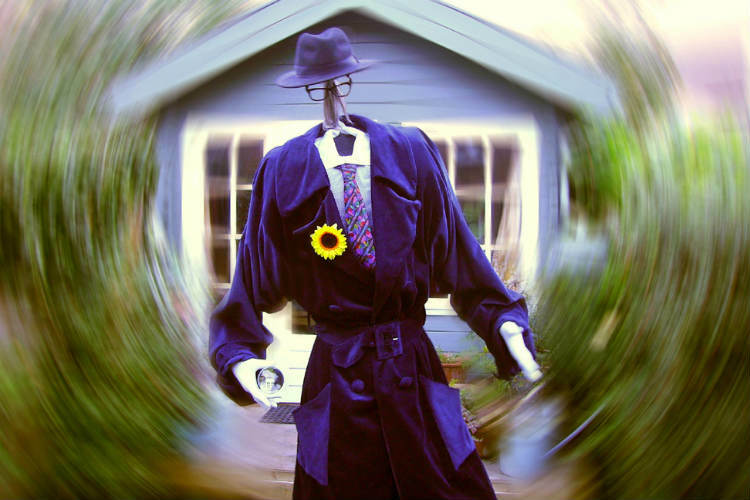 The Invisible Man comedy act is a multi-skilled performer that gives you a walkabout act and a magic cabaret all in one, producing outbreaks of laughter, gasps of amazement and occasional startled screams wherever he goes. 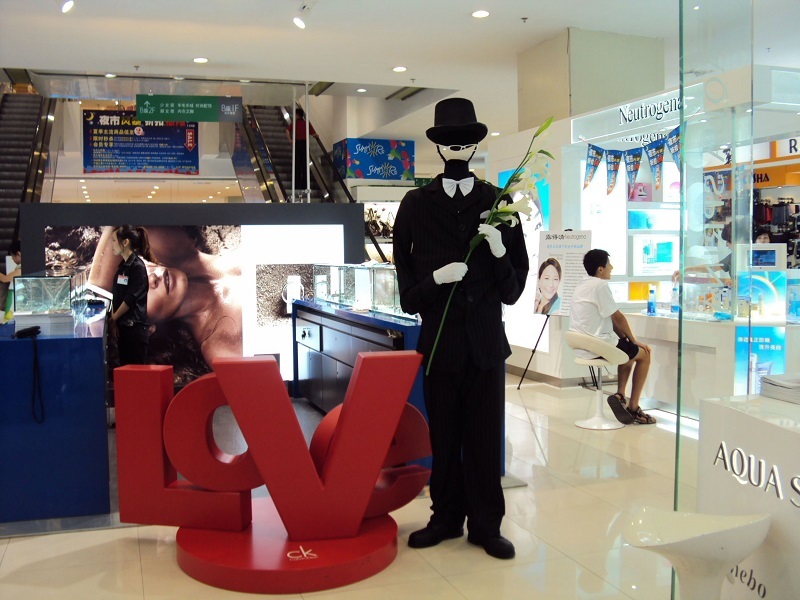 The Invisible Man comedy act is totally professional, reliable and adaptable. 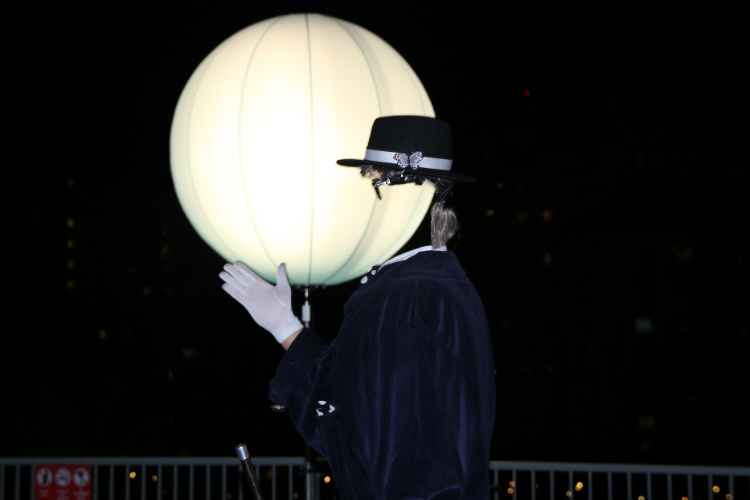 He can ‘appear’ at any corporate or private event, however big or small, to amuse and mesmerise your guests or make your product truly and unforgettably visible. Surreal and hilarious magic! The Invisible Man comedy act is an expert in visual comedy magic. Whatever he touches becomes invisible! 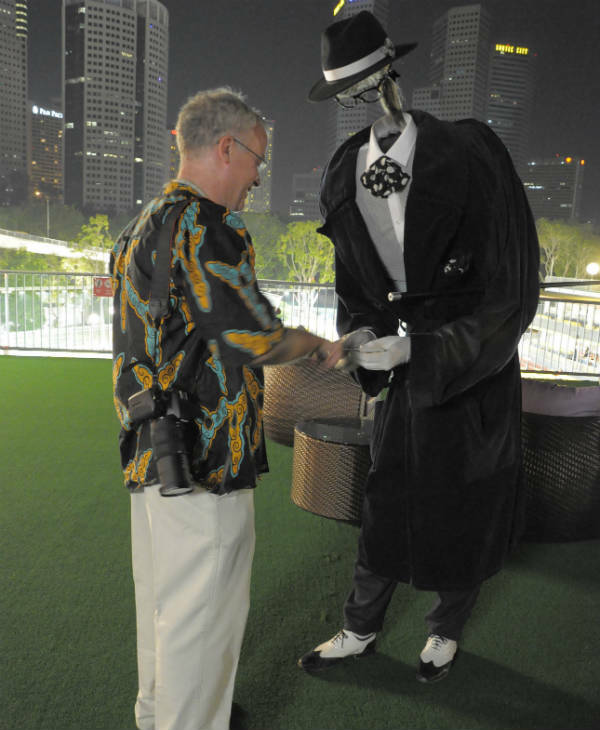 The Invisible Man comedy act’s magic strolling repertoire includes 8 foot pole out of a 3 inch pocket, toilet paper mystery, ghost in a hanky and ‘bottle through body’. Surreal and hilarious magic! The Invisible Man comedy act is an expert in visual comedy magic. Whatever he touches becomes invisible, wands pass through his body as if there was no one there! 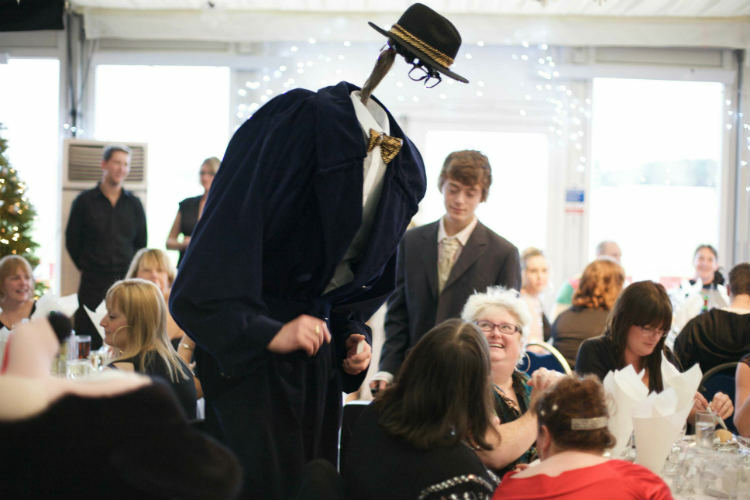 The Invisible Man comedy act’s magic strolling repertoire includes 8 foot pole out of a 3 inch pocket, toilet paper mystery, ghost in a hanky and ‘bottle through body’. The Invisible Man comedy act has an uncanny power of “seeing through” people to divine their thoughts or tell them their innermost secrets, especially if character readings are requested. He will predict people’s actions or make them predict his. Though apparently headless he will memorise a whole deck of shuffled cards in less then three minutes! 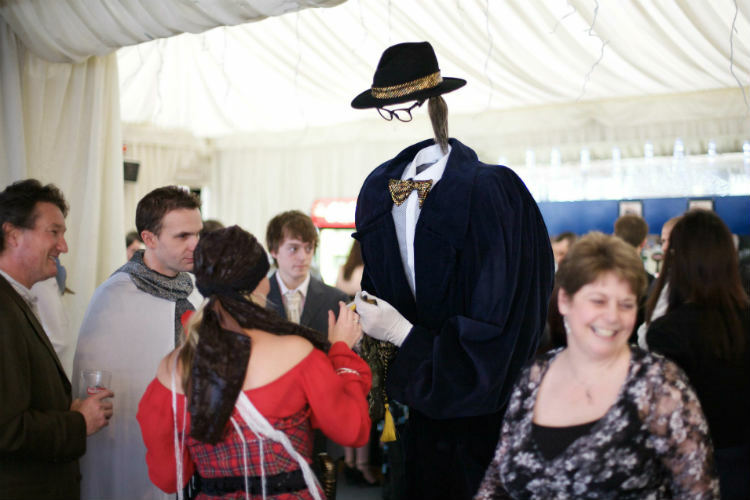 The Invisible Man comedy act can also welcome guests, serve drinks, dance, mime and contact juggle. Standard Length of Performance: 2 x 30 minute sets or 3 x 30 minute sets. “Having you perform at our Christmas Party was really special. Fantastic, hilarious show! I laughed from the moment you started to the end and so did everyone else. It was a truly magical occasion. Plus many schools, hospitals and private events.